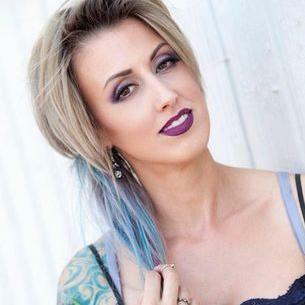 Steffeney Paige is a licensed cosmetology professional who is fully experienced in all forms of makeup hair artistry application techniques for television, film, commercials, music videos, photography, print, runway, and everyday special events. In other words, she’s a true and complete artist. Because of her experience in special effects makeup, she has perfected the art of lash extensions. With focused attention to detail, she is able to create extraordinary, natural looks, glamorous, high end looks, and more including for runway and SFX. She’s also a master at corrective makeup. And highly sought after as a concierge beauty expert. Stephanie is part of the GSL growing team. Come see her.